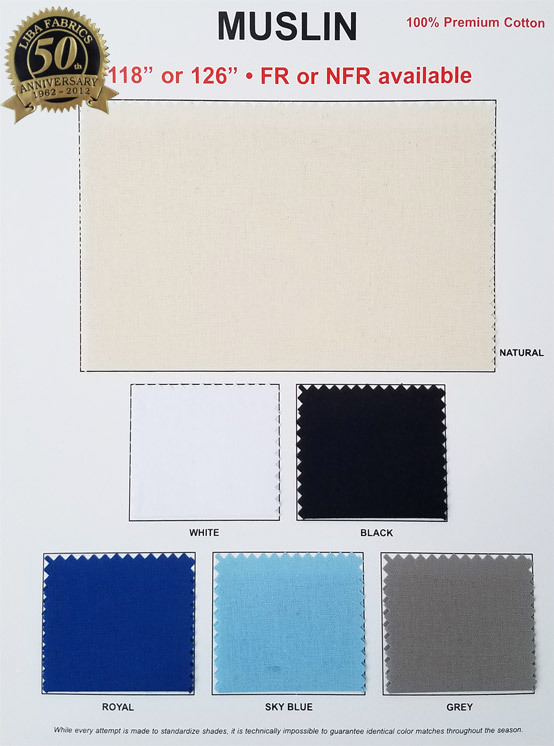 Our Muslin made with 100% Premium Cotton is perfect for Scenery and Set Decoration, Scenic Backdrops, Panels, Wall Coverings, Event Decor, Draping, and more! 1. Tightly Woven - Dense and Opaque - Best Quality! 2. FR Finish Meeting NFPA 701 option or NFR if preferred.